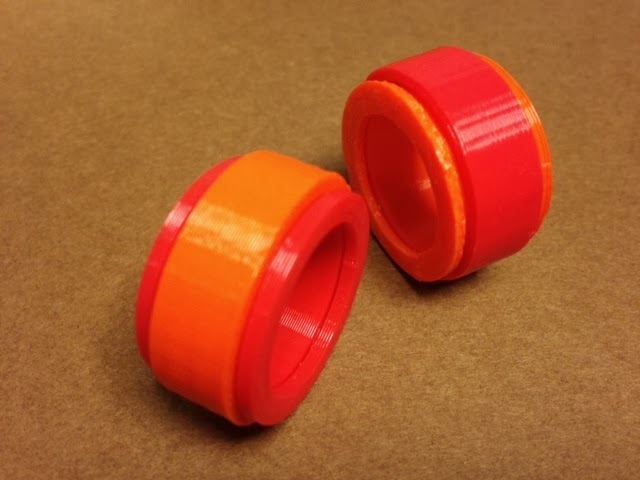 Today we made two copies of AmazingSpanoMan's Customizable Fidget Ring on Thingiverse. The center ring spins around very nicely. Stuff to change: The size I printed is a bit too big for me to wear, but still fun to play with. Next time I'll print one that is a bit smaller.